These are our Champions of Choice. They are people who have campaigned for or dedicated much of their working lives to supporting women’s reproductive choice. We celebrate their commitment and believe they are an inspiration to us all. 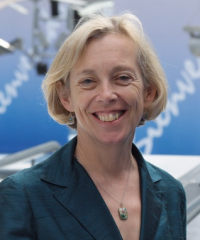 Professor Cathy Warwick CBE is Chief Executive of the Royal College of Midwives, and works to promote women-centred care and informed choice in all aspects of reproductive health. 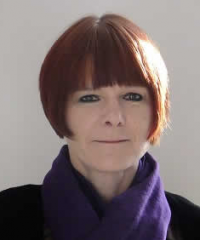 From improving perinatal mental health services to addressing the shortage of midwives in the NHS, Cathy has put maternity care firmly on the political agenda, and acts as a vocal advocate for pregnant women’s right to individualised, respectful care. Read Cathy’s piece about how important choice is in maternity care here. A GP and broadcaster who regularly tackles misinformation masquerading as science, Ellie has also authored Keep Calm: The New Mum’s Manual. In a society swarming with confusing, conflicting advice which fills mothers with guilt and fear of “getting it wrong”, Ellie encourages women to trust their own instincts and make the choices that are right for them and their family. These 215 extremely brave individuals in Northern Ireland who signed an open letter admitting to either the consumption of abortion pills, or assisting women in the procurement of an abortion, in response to the prosecution of a women in her thirties accused of buying abortion pills for her daughter, are an inspiration to all campaigners for reproductive choice. By inviting prosecution these abortion rights activists have highlighted how unfair this case is and have courageously challenged Northern Ireland’s draconian abortion laws which makes criminals out of innocent women. This terrible trial highlights why abortion needs to be taken out of the criminal law and makes these 215 campaigners fundamental Champions of Choice for the decriminalisation of abortion. Read a piece by one of the activists Sarah Wright on why she asked to be arrested for breaking Northern Ireland’s abortion laws. A passionate advocate for women’s reproductive rights David Paintin is a true pioneer of change. 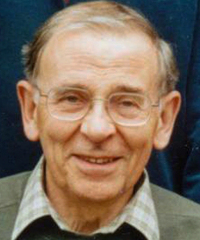 He was part of the group from the Abortion Law Reform Association (ALRA) that supported David Steel during the parliamentary debates, that resulted in the Abortion Act of 1967. Alongside his instrumental campaigning with parliamentarians, David also worked hard to increase abortion’s acceptability. He promoted innovation and good practice through his involvement with the Royal College of Obstetricians and Gynaecologists and by lecturing on the provision of legal abortion to medical students, family planning doctors and gynaecologists throughout the country. His contribution to women’s reproductive autonomy makes David a clear Champion of Choice. Read Ann Furedi’s piece about why all women owe a debt to David Paintin here. 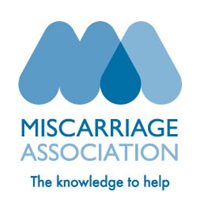 The Miscarriage Association is a national charity offering support and information for those who have been affected by pregnancy loss, as well as raising much-needed awareness of this too often ignored issue. The charity also campaigns for better medical care, and has highlighted the need for full and informed choice regarding clinically appropriate miscarriage management options, in a too often ignored area of reproductive health. Birthrights was founded in 2013 and is the UK’s only organisation dedicated to improving women’s experiences of pregnancy and childbirth by promoting respect for human rights. 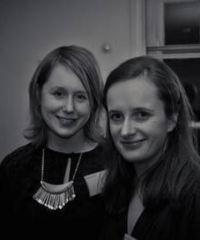 Over the last two years, Elizabeth and Rebecca have created a powerful organisation that promotes respect for women’s autonomy. 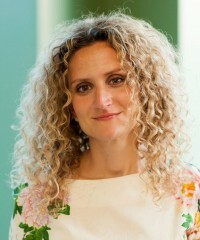 From intervening in a court case around criminalisation of drinking in pregnancy, advising women on their rights to providing training for medical professionals on dignity in childbirth, the organisation puts women’s ability – and right – to make decisions for themselves at the core of all their work. As pregnant women’s autonomy becomes increasingly under attack, Birthrights are an invaluable Champion of Choice. 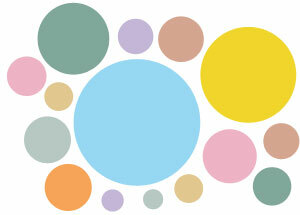 Read Rebecca’s piece on why we need to work together to join up the dots on the reproductive rights spectrum here. Jane Fisher is the Director at Antenatal Results and Choices, and works hard to provide important support & invaluable non-directive information to expectant and bereaved parents, enabling them to make a choice that is right for them. Through her work at ARC Jane has played a leading role in encouraging policy development and training healthcare professionals in the field of antenatal screening so that parents are provided with the best care and information, so they can make choices based on individual circumstances. Read Jane’s piece on why we need to support women’s pregnancy choices here. 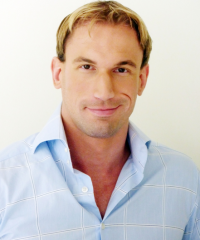 Dr Christian Jessen is a doctor, broadcaster and sexual health campaigner who has had a huge impact on raising awareness and de-stigmatising sexual health matters. Through his work on television shows such as Embarrassing Bodies, his newspaper columns and the publication of his books, Christian has provided valuable information and guidance about a range of “taboo” subjects. Christian is a passionate advocate for sexual and reproductive rights and has been involved in many public campaigns, including the Back Off campaign for abortion clinic buffer zones, making him an instrumental Champion of Choice. A passionate advocate for women’s right to abortion care, Erika has been at the forefront of the campaign for clinic buffer zones. Erika started a change.org petition in October 2014 after seeing video footage of a pregnant woman confronting anti-abortion protesters, which became an extraordinary success. The petition gained over 120,000 signatures in a matter of months and was critical in raising awareness of the issue with the general public. 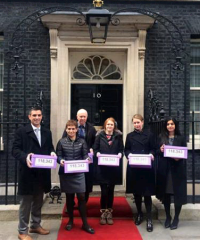 Erika presented the petition to 10 Downing Street with other members of the Back Off coalition in March 2015, and is continuing to fight the government’s inaction on this issue. Read Erika’s piece on why we need buffer zones to protect a women’s right to choose here. Dr Patricia Lohr is the Medical Director of BPAS. 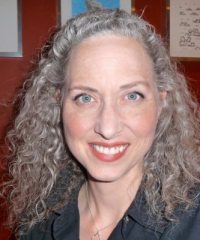 She has made it part of her mission to encourage young doctors to work in abortion care. Patricia set up BPAS’ highly successful Reproductive Health Externship, which gives medical students insight into abortion provision and the women who need it, and has facilitated training for post-graduates unable to obtain sufficient clinical exposure to abortion care in their training programmes. Patricia is also on the Board of Medical Students for Choice whose mission is creating tomorrow’s abortion providers and pro-choice physicians.